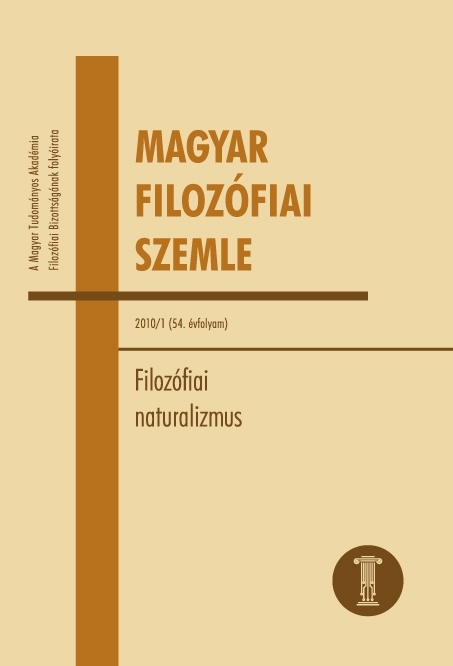 The Hungarian Philosophical Review, the journal of the Philosophical Committee of the Hungarian Academy of Sciences, has the longest publication history among Hungarian philosophy periodicals. Its forebearer, Magyar Philosophiai Szemle, was founded in 1882 with the financial support of the Hungarian Academy of Sciences, and was later succeeded by Atheneum. The present-day journal is the heir of these periodicals which were marked by scholarly excellence and played a prominent role in Hungarian cultural history. In the last decades, many papers and translations were published in the journal that have served as points of reference, and reviewing activity was also important. The Hungarian Philosophical Review takes a neutral stand among the various schools and movements of the Hungarian philosophical profession, and aims to cover all significant achievements of philosophical scholarship without a narrow specialization.